If we can do this for them, just IMAGINE what we can do for you! 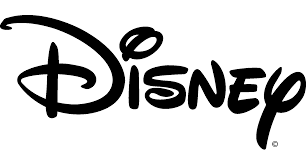 1996-97 I consulted to Disney Travel Products company, a division of the Consumer Products division that oversees all the products that license characters such as Mickey and Minnie Mouse, Goofy, Winnie the Pooh, etc. As a startup company, the charter was limited in staffing so we could not have the 10 programmers and 30 data entry people like the Consumer Products division had, it had to be automated so that just one Administrator could run the entire process. Adobe was just developing their new forms product based on the Acrobat Reader software. Licensees from all over the world wanting to license a Disney character would send in a PDF form with the information and artwork attached. The system utilized the FormDriver™ technology to read the information from the form, add it to the database, increment the sequence number by one (1), and then write that number back into the form and send it back to the Licensee acknowledging receipt through the CC:Mail program. It was a landmark acheivement. 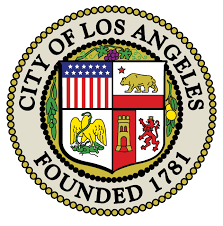 The City of Los Angeles commissioned a task group to put the Budgeting process onto their intranet, so that each department would no longer fill out a MS Word document and send it to the Budget Office for compillation and presentation to the Mayor and City Council. With just 2 interns assigned to the task and working with our team to train them, in just 30 days they were able to put the new form in html online, connect it to the database, obtain all the department's inputs, and then compile them using Crystal Reports into a Budget Report that usually would have stacked up to 9 inches in height when printed out. Saving hundreds of manhours and thousands of sheets of paper by being able to review the new Budget in PDF format. The United Way of Los Angeles decided to put their Annual Open Enrollment on their intranet to streamline the process. This is a very complex process with literally hundreds of options. In a paper world, it is a total nightmare, but online, with the ability to display just the questions that pertained to each individual as they answered the questions and made their choices, it cut down on confusion and made the process a breeze. With the front end forms in dynamic html, and the data written into the mandated PDF document, it was a perfect match. Sedgwick, Ks is a town of about 1800 people, so having the finances to have automation for some of their very labor intensive programs was out of the question. Utilizing the FormDrivertm technology, we built a Dog & Cat Licensing program so people could register their pets online as well as simply renew from the previous year. We also built 3 modules for their swimming pool. This allowed residents to reserve the pool online, enroll their children in swimming lessons, and obtain Summer Passes for Adults, Kids, or the entire Family. These two programs becoming automated reduced the work loads of the City office staff immensely. 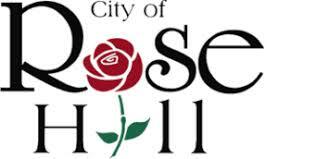 Rose Hill, Ks is a town of about 4500 people, which is large enough to have their own Public Works department. Yet even with a budget, existing software programs to perform Work Orders was out of the question with the lowest priced systems starting at about $15,000. We were able to put the FormDriver™ technology to use and built a system in less than 3 weeks that addressed 90% of what they wanted for about a 1/3 of the lowest priced system they were looking at. 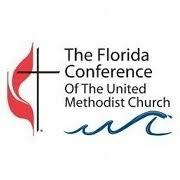 The United Methodist Church Florida Conference is one of the larger conferences in the U.S.
Each year end, there are 3 reports filed with the Conference HQ as an evaluation for each Pastor to make sure they continue to be a good fit for that particular church. With over 750 churches in the Florida Conference, that is a ton of paperwork. So using the FormDriver™ technology, we were able to put that entire system online including creating accounts for each church and each pastor. In the end, they PDF'd each report, put them on a CD and send them to each of the people doing the evaluations and recommendations saving time, paper, and money. 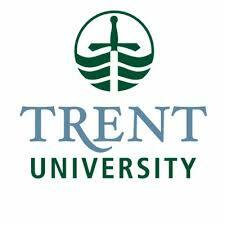 Trent University in Canada utilized the FormDriver™ technology to automate the students signing up for phone services in their dorm rooms. With tens of thousands of students, you can only imagine what a nightmare processing all those applications for telephone service would be. With the FormDriver™ technology, we were able to put that very complex system online in less than 4 weeks. It also gave full reporting capabilities so instead of an army of staff trying to track everything, just 2 people were able to ensure requests and installations went flawlessly. The Government of Ontario, Canada wanted to put their hunting and fishing licenses online to streamline that process. They turned to the power of the FormDriver™ technology to receive the online form data from their online PDF documents, put it into the database, and return a "final" PDF document with the data in a "read-only" format. This was built on the FormDriver™ technology including Registration, Menus to track progress, Lessons, and self-grading Tests. 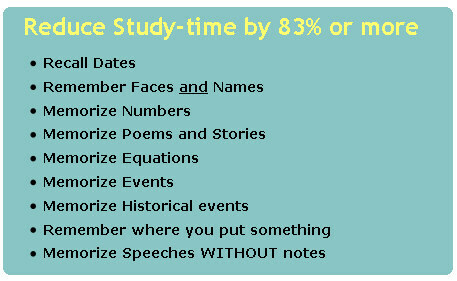 The system incorporated audio teaching as well as visual aids. Insurance Brokerage company with 8 insurance companies participating in their HealthCare line of business in 37 states. FormDriver™ takes the XML output from the ASP inputs and populates the correct state and carrier with the web-submitted information for almost 300 pdf forms. The "primary" programming company's answer was to have a room full of agents, pulling the data into an asp form, then copying the data from a field in the form and pasting it into the corresponding pdf. Absurd! CHW decided that with over 1,500 employees needing to fill out the Annual Conflict of Interest form, that putting it on-line would be more efficient and less costly than doing it by hand this year. Using the FormDriver™ and FormBuilder™ technologies, We Do That! Technologies (WDTT) was able to build and put this on-line in less than 10 hours. Employees fill out the Dynamic HTML page, submits data to the database, notifies the Administrator, populated a PDF form for them to sign and send in, then the Administrator marks off the list the forms as they get them with the "wet" signature. WDTT then exports the data for CHW to import into their own monitoring and analysis system. © Data Movers Pro, LLC 2017 All right reserved.